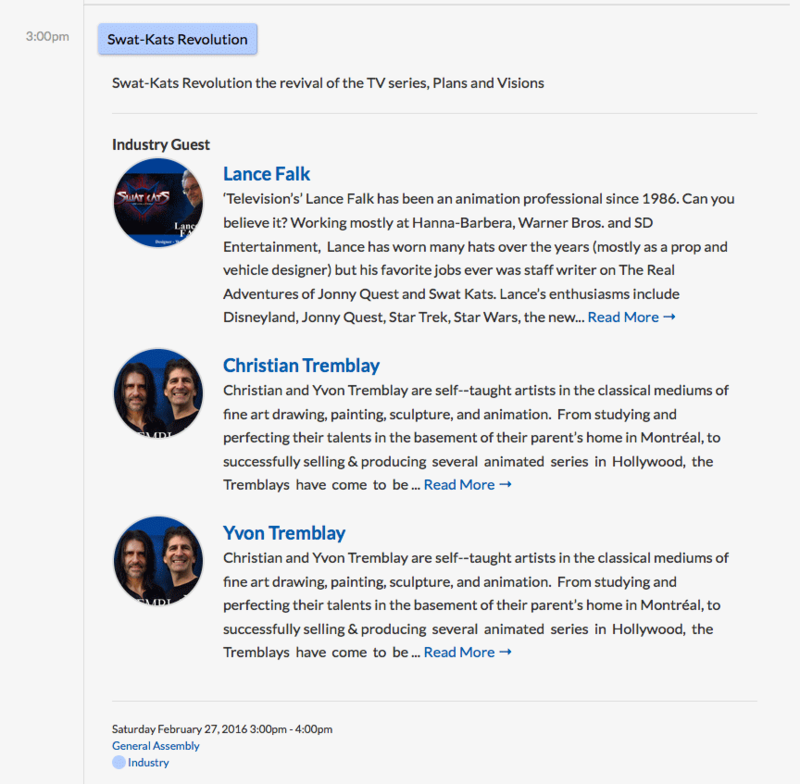 As has been announced and others have already pointed out, the Tremblays and Glenn Leopold will be at the ANIME MATSURI convention, which is occurring in Houston, Texas on February 26 (Friday) through February 28 (Sunday) at the George R. Brown Convention Center. 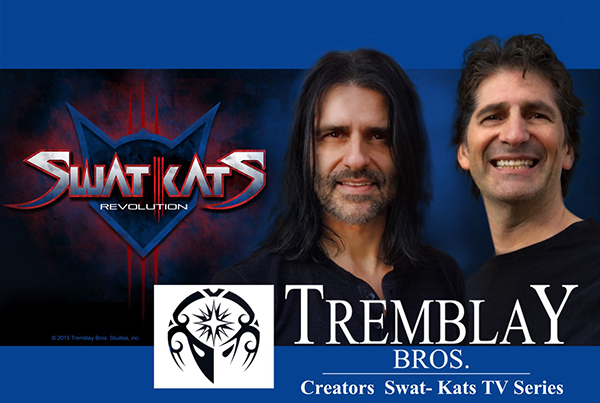 California based Studio, Tremblay Bros., is bringing Swat Kats Revolution, the revival of the popular 90’s TV cartoon, Swat Kats: The Radical Squadron to Anime Matsuri on February 26-28, 2016 at the George R. Brown Convention Center in Houston. Co-Creators Christian and Yvon Tremblay, along with Story Editor Glenn Leopold, will give fans a sneak peek into the new world of Swat Kats Revolution. Swat Kats Revolution was funded by Kickstarter which saw over $140,000 raised to bring back the beloved cartoon. Visit the Swat Kats Revolution booth in the Exhibit hall and attend the presentation during Anime Matsuri’s 10 year anniversary event. Glenn Leopold is a writer who worked at Hanna-Barbera as a story editor, writer, character creator, and show developer. Glenn Leopold is known for his work on The Smurfs (1981), Scooby-Doo on Zombie Island (1998), Scooby-Doo and the Alien Invaders (2000) and the Swat Kats The Radical Squadron (1993). He is the current Story Editor of the revival of the Swat Kats, called Swat Kats Revolution, funded on Kickstarter and promises the Radical Squadron back on our screens for the first time in two decades. Christian and Yvon Tremblay are self-­‐taught artists in the classical mediums of fine art drawing, painting, sculpture, and animation. 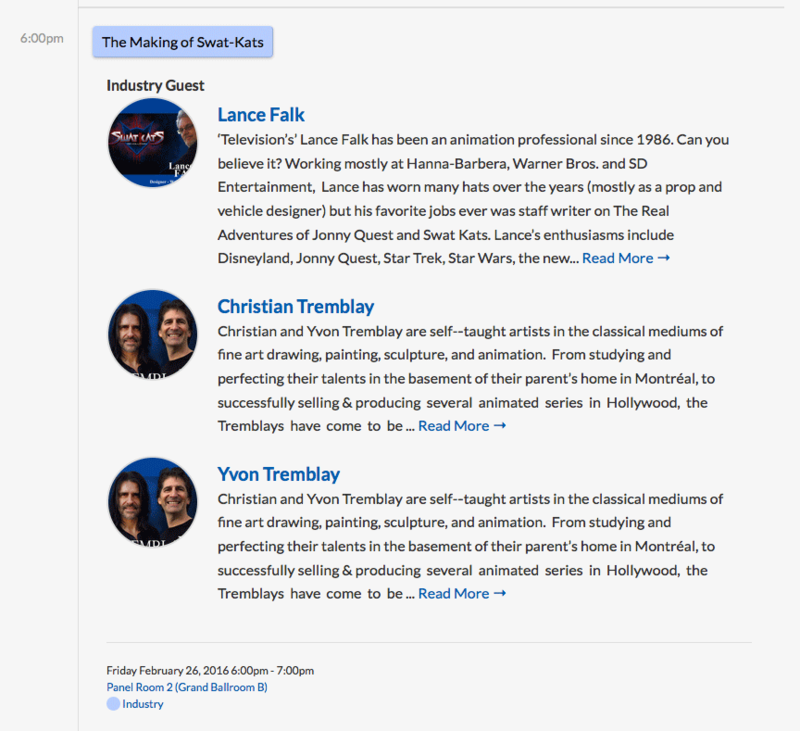 From studying and perfecting their talents in the basement of their parent’s home in Montréal, to successfully selling & producing several animated series in Hollywood, the Tremblays have come to be recognized internationally as a prolific and unique creative force. In more than twenty-­‐five years working in the field of visual arts and animation, the Tremblays have been associated, as independent creators of original IPs, with many of Hollywood’s most prominent studios including: New Line Television, The Walt Disney Company, Dreamworks Animation, Warner Bros., Universal Studios, Vivendi Games, Fox Television, Nickelodeon, Hanna-­‐Barbera, Fremantle Media Group, Saban International, Film Roman, Sony Entertainment, as well as with the large Canadian broadcasters Télétoon, YTV, and Radio-­‐Canada. 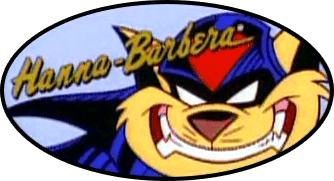 Their creations, such as Edward, Mega Babies, Loonatics Unleashed and Swat-­‐Kats have been broadcasted in prime-­‐time and syndicated in more than one hundred and twenty countries around the globe. The Tremblays were also the creators and executive producers of a French language series entitled “Vie de Quartier,” the first ever prime time animated series to be air aired by the Canadian broadcaster Radio-­‐Canada. They are currently producing an all-­‐new animated series based on one of the most iconic animated cartoons in history, Felix the Cat, as well continuing to develop original and world branded content. 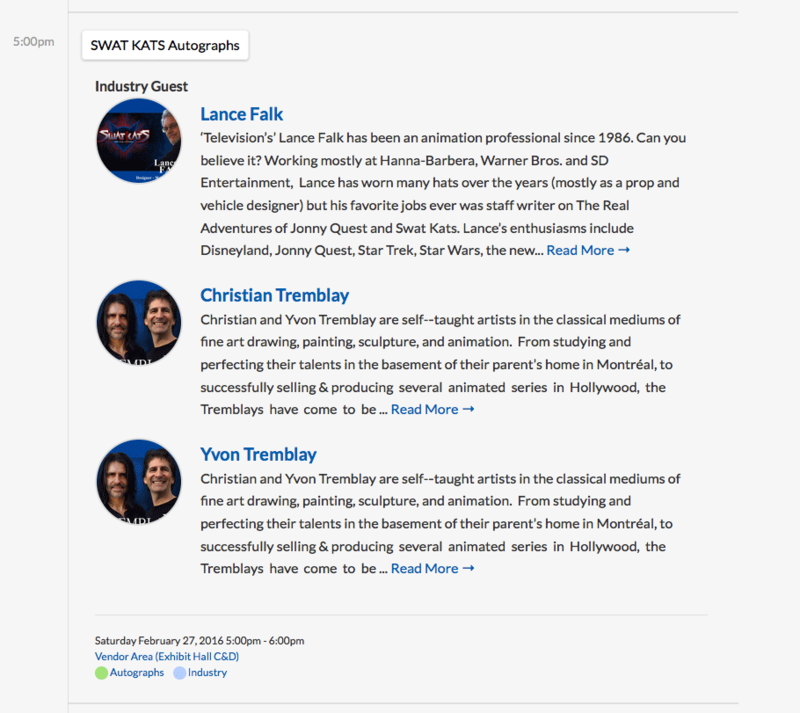 The Tremblays have been involved in a wide spectrum of transmedia projects from television, internet, and video games, to feature films. Their experience, vision, and creative style have cemented the Tremblay’s as top-­‐tier content creators, on the cutting-­‐edge of artistic trends. 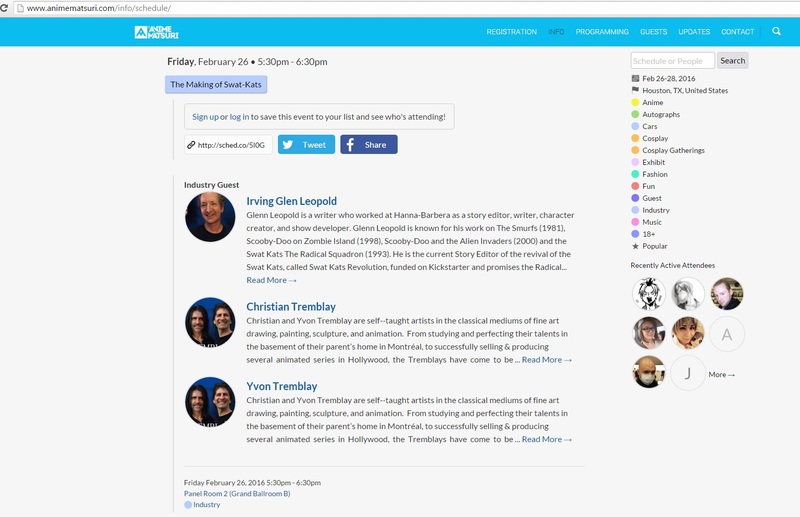 I have been unable to obtain the exact day, time or room their panel is scheduled to occur in. If you learn of any additional details (even if they've already been posted elsewhere) please share them on this thread. I've contacted Christian about sharing any specifics, and once he replies I'll make sure to share them here (or unless someone else can verify first). I want to make sure the details are accurate in case anyone is planning airfare and hotel arrangements. I have been unable to obtain more specific details. Just checking to see if anyone has learned anything new concerning this. Thanks! MoDaD wrote: I have been unable to obtain more specific details. Just checking to see if anyone has learned anything new concerning this. Thanks! Edit: Honestly, I wouldn't worry if someone in the fandom can't even make it that day, since the creators still have to make good on their Periscope session on Kickstarter. We'll wind up getting info in either case, I'm sure For all we know, they might see if they can set up their session during their panel at the convention. I just hope that their exposure to the fans that WILL be there won't be horrible. I didn't see a specified side room or hall, so I'm assuming that all Industry Guest Sessions as they've termed them will happen in the same place. UPDATED SCHEDULE. TIMES CHANGED. LANCE FALK NOW ATTENDING. More information can be found at ANIME MATUSURI here. Also, one member of this forum (who wishes to remain anonymous at this time) has contacted me and said they will be attending the convention. 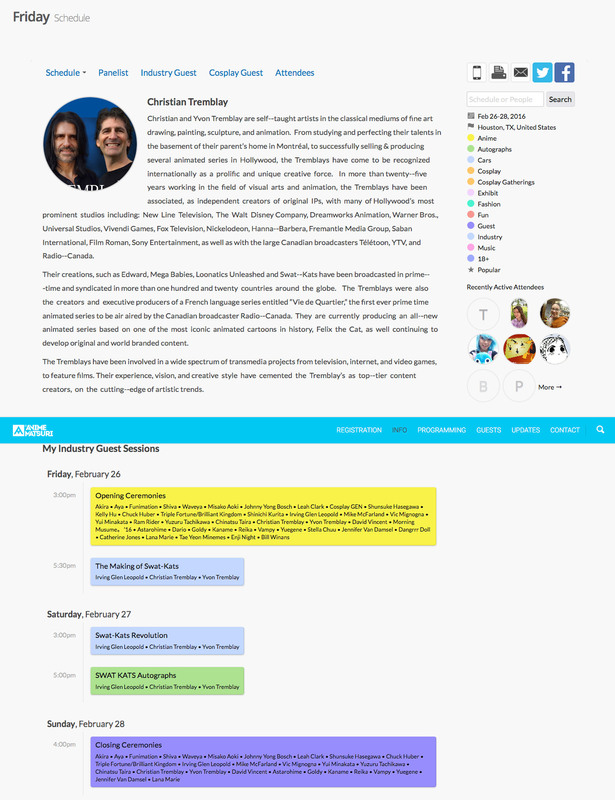 They'd like me to ask if anyone else will be attending (including fans who aren't members of this forum) to see if they'd like to meet up at the convention. If so, you can PM me and I'll get you in-touch with one another. Please join us LIVE on PERISCOPE from the MATSURI ANIME CONVENTION in Houston Texas, this Friday, February 26th, 2016 @ 5:30 pm local Houston time and Saturday, February 27 @ 5 pm local Houston Time. We have been kindly invited to this great convention, and we'll talk Swat-Kats, and there will be a signature session and fun! Download the Application on Apple or Google Play and join us on PERISCOPE and search for: SWAT KATS REVOLUTION.